Former Mayor of London continues to suffer backlash from 'Hitler was a Zionist' comments, loses popular slot on LBC Radio. Former Mayor of London Ken Livingstone has been fired from his radio show, in response to anti-Semitic comments made last month. Livingstone has already been suspended from the Labour Party, where he was until recently a senior policymaker, after claiming in an interview that Adolf Hitler was a Zionist, and appearing to back some of the Nazi dictator's earlier policies before he "went mad." "Let's remember when Hitler won his election in 1932, his policy then was that Jews should be moved to Israel. 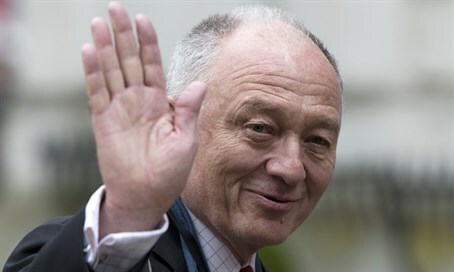 He was supporting Zionism before he went mad and ended up killing six million Jews," Livingstone said in an interview, while defending a Labour MP suspended for calling for the mass expulsion of Jews from Israel. Livingtone has repeatedly refused to apologize for the comments, even after being harangued as a "racist, Hitler-apologist" by an MP from his own party. He has even doubled down on his remarks in an interview with an Arabic TV station, while branding the creation of Israel "fundamentally wrong." On Saturday, the Global Radio firm announced Livingstone - a senior aide to Labour leader Jeremy Corbyn - would be having his Saturday morning show on LBC Radio cancelled as a result of his comments. LBC is London's most popular talk radio station. The Campaign Against Anti-Semitism hailed the decision. "The strongest response to racism is for society to shun racists, which is what LBC’s owner Global Radio has rightly done, and we applaud them for heeding our calls," said CAAS spokesman Jonathan Sacerdoti. "Having offended Jewish people, and others committed to decency and anti-racism, Ken Livingstone proceeded to repeat his comments as widely and frequently as possible in the media. Global has now removed his most prominent outlet for doing so." Livingstone himself has responded by calling the decision "crazy." "It’s crazy really because when David (Mellor) and I started doing that program it had 50,000 listeners and now it’s 300,000," the far-left politician told the UK's Independent. "It’s weird because I would have thought good capitalists would want to carry on making a profit."